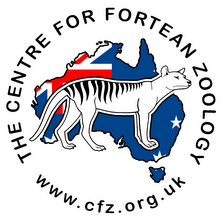 Centre for Fortean Zoology Australia: Is South China's rare tiger fighting back? Photos of what could be an extremely rare South China tiger shot by tourists at Sanqing Mountain Jiangxi Province on October 15, 2010, and published by Chinese media, have reignited debate about whether the animal still thrives in the wild. 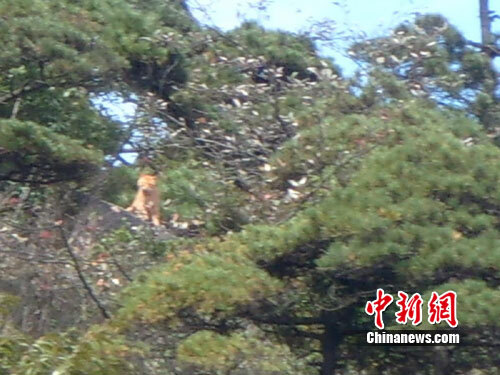 Tourist Bao Shuguang was visiting Sanqing Mountain with friends when he spotted the yellow animal about 100m away. Yelling "Tiger! ", he took four vague photographs (two of which are reproduced below) of the animal in a tree, but later said he could not be sure that it was a tiger. Two or three minutes later, the animal walked into the woods. 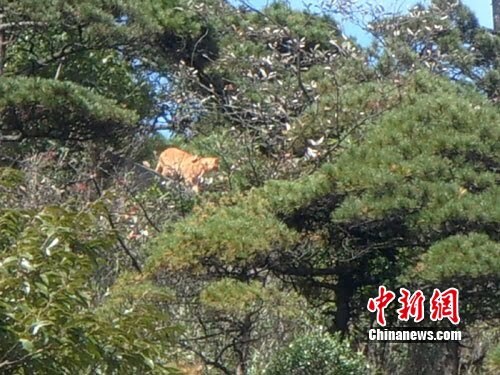 Li Hua, an official from Sanqing Mountain Administration Committee, said she could not confirm if the cat was a tiger, but said an expert from Zhongshan University said it looked very much like a South China tiger after he saw the photo. 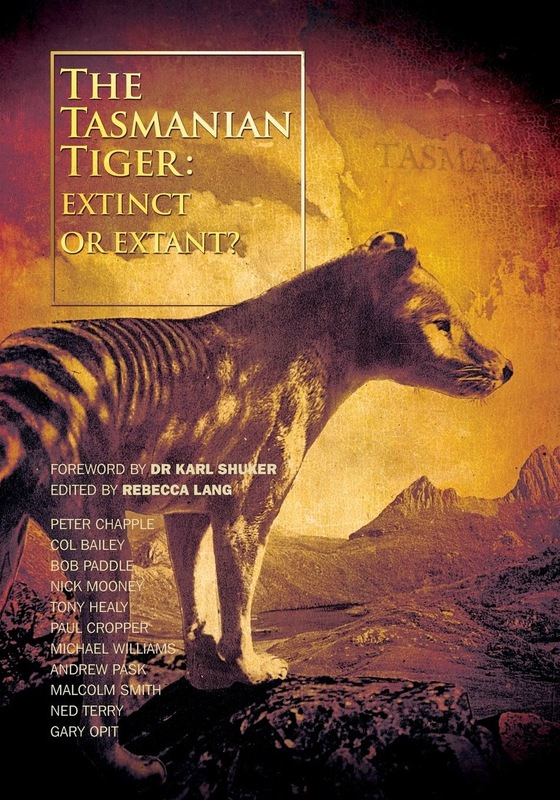 The South China Tiger is teetering on the verge of extinction. It has not been seen for more than 10 years, and experts believe there are only 10-30 of the big cats left in the wild. The species is only being sustained by breeding programs carried out in zoos. 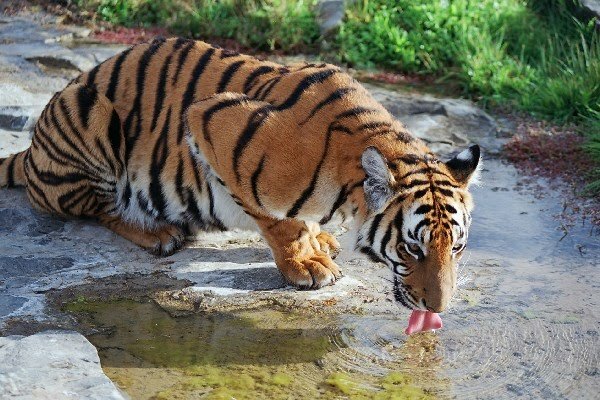 Conservationists believe tigers worldwide could become extinct within the next decade due to poaching, demand for Chinese medicine utilising tiger body parts, and shrinking habitats. 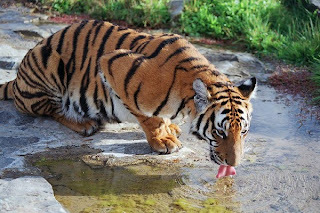 The South China tiger is listed as animal under first-class state protection and considered one of 10 critically endangered creatures by the International Union for Conservation of Nature and Natural Resources.